This is about a real life and death testimony. My journey began in Feb. 2016-I started noticing symptoms of shortness of breath and chest pains while cutting my lawn as well as doing any physical work, or going to the gym during my lunch hour to exercise. I remember asking others at the gym who were my age, if they were struggling to catch their breath, and they said no. This prompted me to seek medical attention. I first had an exacerbation and ended up in the emergency room at Seton Northwest. After some tests, they discharged me home saying it was probably anxiety and that they couldn’t find anything wrong. So, then I continued on with my life, and then in May 2016- I had another episode, and I asked Carol to drive me to the emergency room to the Austin Heart Hospital in Austin. At the Heart Hospital, they ruled out heart issues and they mentioned that on the chest x-rays that they’ve seen something abnormal and this prompted them to get a CT scan of my lungs to find out what it was. Then CT scan showed some scarring in both of my lungs. So, then they decided to do a lung biopsy and sent the samples and other lab work off to the world renowned – Mayo Clinic for the diagnosis. Mayo Clinic came back with the diagnosis of IPF-Idiopathic Pulmonary Fibrosis. Meaning that they don’t know how I got this – whether genetic or environmental. They did more tests to find the cause and couldn’t find the underlying cause. My pulmonologist that I met at Austin Heart Hospital called me and Carol to give us the diagnosis. She told us that is was, IPF/ PF is a terminal lung disease and that most people live maybe 1-5 years after diagnosis is made and that the disease can quickly take you faster than cancer. 6 months later-January 2017- I was still taking the medication to stop the scarring but – it wasn’t working. In fact, it got progressively worse to the point that I needed oxygen and then making the decision to send referrals to transplant center in San Antonio because I thought that San Antonio was close to home and just more convenient. Instead of me going to a further center. I was still in denial of my illness because I’ve never been sick before and I thought they just were lying about the diagnosis and that really nothing was wrong with me. I just couldn’t see that my lungs were sick. I didn’t realize at that time, that my faith, my trust was being tested and even my confidence in trusting God’s plan was already in place and I just had to let him lead me. Early 2017, I was sent to the University Transplant Center in San Antonio, to be considered for transplant evaluations. I went to several appointments there to discuss my case, the transplant process. The team could see right through me and that I wasn’t ready mentally for the journey. After several appointments, I was wondering as to why they kept stalling me from moving forward with scheduling. I received a telephone call from the University Transplant Center Coordinator and was notified that they denied my case for transplant and referred me to be seen in Dallas or in Houston. I was upset because I didn’t realize that I had to accept my situation, and that they saw right through me-they saw my fears. I learned that they wanted someone who is going to go all the way through and not be afraid. They apologized and sent my case off to Dallas and Houston. I told the coordinator how difficult, that they were making it for me and my family to go out further. They told me that they don’t give second chances, that you have to be on board or not. They saw that I hadn’t been. After that denial in San Antonio, I had no choice but now to get on board because I now realized that I’m sick and facing the biggest battle of my life and now I was on a race against time. I even had tried to appeal the decision but then accepted the fact to go and proceed with referrals to Dallas and Houston. But you see, I wasn’t seeing the big picture yet. I wasn’t seeing God’s plans and all I saw was how am I going to do this on my own. I wasn’t seeing GOD’S PLANS but only my plans and how I was going to afford this going somewhere else further out away from home. I wasn’t seeing that God had the perfect transplant team, the perfect hospital, the perfect place to live while there, and of course, the perfect time that this was going to happen. Apart from him, we will naturally become impatient when people or situations frustrate us or our circumstances aren’t to our liking. Patience is a matter of trust in God. So, then I called the pulmonologist in Austin, and told her what happened in San Antonio. I asked for her to send a good recommendation with my referrals to Dallas and Houston. My pulmonary dr in Austin, sent off the referrals to both Dallas – as Dallas had 2 centers -UT Southwestern and Baylor. So one of these two – I was hoping would accept my case and schedule an appointment for evaluations. Of course, they asked me- what happened in San Antonio. I told them the truth, I wasn’t ready. But now I am on board and ready to go through whatever to finish this. I was accepted and they agreed to take schedule evaluations. Then I received a telephone call from Houston Methodist while I was in Dallas, to schedule Houston evaluations. And then I received another telephone call from Dallas, notifying me that my medical insurance company changed and the new insurance company is now out of network for the Dallas centers. The coordinator in Dallas did notify me that if I were to go with Houston, I probably get lungs before Christmas and this was only late June/July and she predicted that if I went to Houston-bigger center, that I probably get my lungs before Christmas. And that they wouldn’t be offended if I went on with the decision to go through the evaluations at Houston Methodist because they knew that it was still in network with my insurance company. I then had to make a decision to either continue on w/ scheduling with the Dallas teams and Houston knowing that it was going to be more expensive with out of network, or just go to the one in Houston. I decided to cancel Dallas after this and stop evaluation process and move on with Houston Methodist as it was in network for evaluation. I am now praying that Houston would accept me as a candidate and list me. I only now had one chance to get listed and that was in Houston. I arrived in Houston the first week in August 2017 for a week long of evaluations, I met with the team transplant director. He agreed to start the evaluations for transplant. He explained to me and my family all the scary possibilities that can happen and the statistics of going through the process like for example, that most don’t survive getting through the transplant evaluations or if you make it through this, then some don’t make it while waiting on the transplant list, and also some don’t make it through the surgery itself off the table or the first-year post transplant. That almost half of the patients have a 50/50 survival rate. You could die either way. I did some research and saw that this was a high volume center meaning that they have more transplants than other centers. The doctor saw me and said that he reviewed my case and that I had no more time but to go through w/ evaluation because he said that I had about 6 months-2 years life expectancy and I wouldn’t make it to my next birthday if I wasn’t listed – it was August and my birthday is in April. 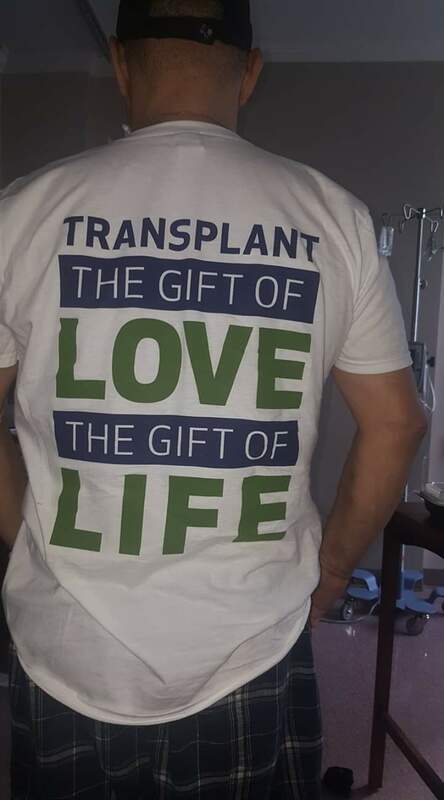 So , I went through the evaluation process during Aug. Sept., and in October and was finally accepted and approved by the insurance company and the team for transplant listing. My name was activated on October 12, 2017 with UNOS National Waiting list. I waited for 31 days on the list after becoming activated. God gave me scripture then, Proverbs 3:4-6 “Trust in the Lord with all your heart and lean not on your own understanding, in all your ways acknowledge HIM, and he will direct your paths”. By the beginning of November 2017-my lung allocation score increased, meaning I was getting sicker and also this made my name more noticeable on the waiting list for donor offers. My score increase, my need for more oxygen increased, meaning I was getting sicker. I was told that they hoped I would get the call before Christmas but couldn’t promise me anything as well but to keep being positive. I learned to trust my doctors just like I had to trust God. November 13, 2017- I received the call stating that they had a donor match and asked if I would accept the donor offer for lungs. I accepted the offer after being notified that the lungs were no high risk. I was notified to get ready and to be at the hospital in 3 hours. Luckily at that time of the night, traffic wasn’t a problem. To be honest, I wasn’t even scared, I was just ready for the surgery to happen by now. God gave me perfect peace, HIS PEACE. God chose me to go through this for his honor and glory. God created the heavens and the earth and I knew that he would cause me to overcome anything with confidence and not be afraid. God went through the fire with us, but on fire with him and we came out untouched. I arrived in Houston, they took me to the back and I’m sitting there in the bed, and then I had lots of doctors and nurses starting to gather around me and the next thing I know they’re checking my vitals, my oxygen levels, getting chest x-rays done, other tests and prepping an IV to start in me. I was being prepped for a surgery that I didn’t know that may or may not happen. By this time, more people started to gather around me taking samples of blood, etc., etc. And all I could see was their facial expressions-looking scared for me. They knew that I was rolling into something I wasn’t sure if I would come out of. The nurses and doctors made me sign the consent for treatment forms and then notifying me and my family that surgery could last anywhere from 5-10 hours depending if there is complications and the need for blood transfusions, or being put on a heart-lung bypass machine, or even the lungs collapsing. All the possibilities and gathered my signatures. Then they took me to the ICU to start me on IV anti-rejection medicine, antifungal meds, antibiotics and so much more. The doctors/nurses were watching my vitals on the monitor and communicating with the other teams to retrieve the lungs, get them to the OR between the donor hospital and my hospital. 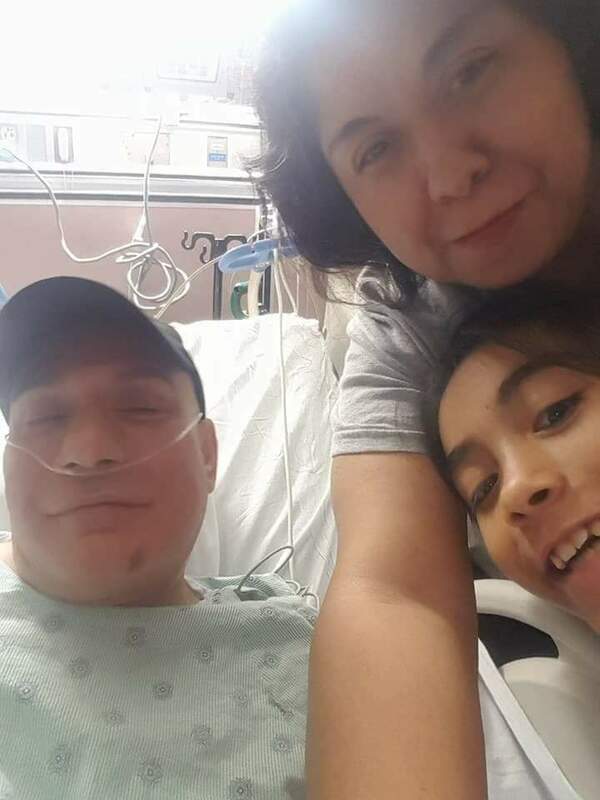 They notified my family that the lungs have arrived and were across the street and that they would be going in first to see if the lungs looked good enough to be moved for transplant. The surgeon gave his blessing that the lungs were good and received their final blessing and I was then moved into surgery. Surgery was completed after midnight in the very early hours of November 14th. I was in ICU for at least almost a week and then moved to the step down unit to the floor after. I know that God has built up my confidence that if I can go through a double lung transplant journey. I can do whatever is given to me. This entry was posted in Uncategorized and tagged God's plan, lung transplant, surgery. Bookmark the permalink.